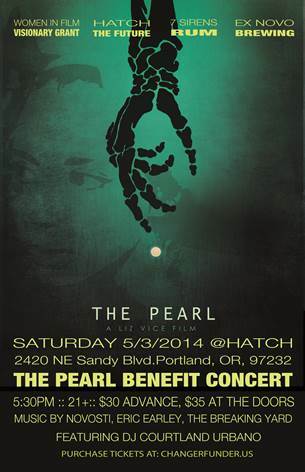 Women in Film is pleased to announce a long awaited benefit concert to raise funds to make The Pearl – Short Film! The Pearl is a narrative short film about a brave and handsome PRINCE who is faced with a cruel decision. The EVIL ONE (Jonathan Hicks) has trapped the soul of the beautiful PRINCESS (Jasmin Savoy-Brown) in a magical pearl. The PRINCE has two choices: return the soulless body of the PRINCESS to the kingdom, or retrieve the pearl that will forever trap her soul. He can only choose one. Everyone who purchases a ticket in advance through ChangeFunders will receive a free drink ticket. Ex Novo Brewing, 7 Sirens Rum has graciously donated some of their fine products. Light appetizers will be provided. Suggested donation drink menu also available. Non-Alcoholic beverages will also be available. In addition to food and drink, you can rock your faces off with the some local musicians. 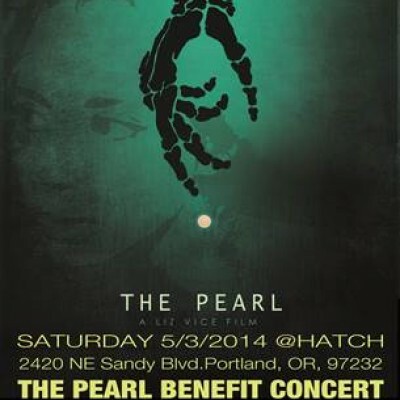 Novosti, Eric Early of Blitzen Trapper, and The Breaking Yard will provide live music. So come one, come all! Eat, drink and celebrate!!! But most of all, let’s make a movie!! !